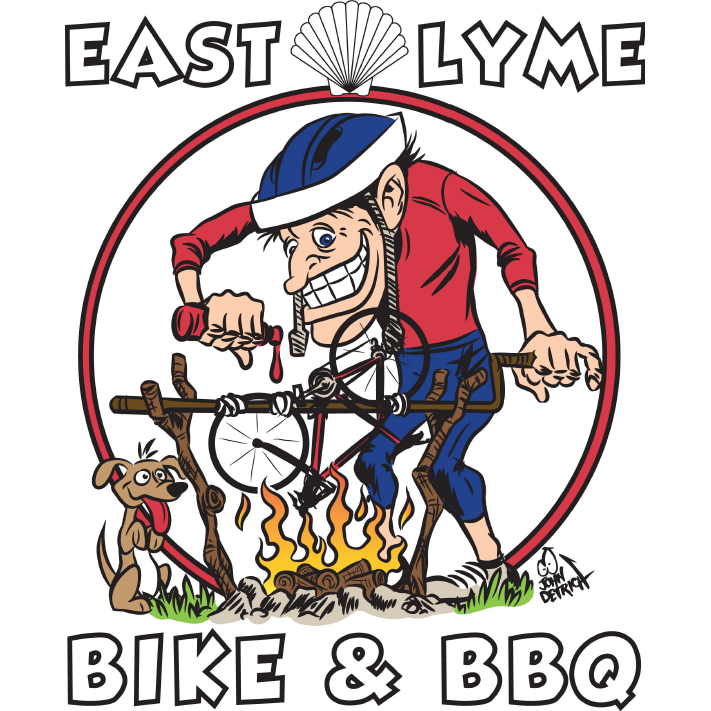 East Lyme Parks and Recreation invites bikers, hikers, history buffs and everybody who loves a great BBQ to join us on Saturday, September 29 for East Lyme’s 3rd Annual Preservation Bike, Hike and BBQ to raise money for East Lyme’s historic places and open spaces. September 29, 2018, all day. All throughout the region! See the Event Details and Schedule section below to select the best bike or hike route for you and/or your family. All bike routes begin and end at Smith-Harris House at the Brookside Farm Museum, 33 Society Road in Niantic. All guided hike routes begin and end at East Lyme’s Veterans Memorial Field at the corner of Oswegatchie Hills Road and Pennsylvania Avenue in Niantic. The feasting and festivities continue on the Smith-Harris House at the Brookside Farm Museum grounds after your events. Bicyclists, hikers, history buffs and outdoors people of all ages. There’s something for everyone in the family. Registration fees vary between $25.00 and $75.00 depending on the event you select. Six new bike routes, three guided hiking routes, a fabulous BBQ feast hosted by the Niantic Lions Club, live music by East Lyme’s own Boathouse Blues Band, plus a special noontime celebration and new bicycle-giveaway for needy children sponsored by the non-profit Foundations for Life (video) called Bikes for Kids. You’ll be helping preserve East Lyme’s historic places and open spaces. The East Lyme Historical Society / Thomas Lee House, the East Lyme Land Trust, the Samuel Smith Farmstead and the Smith Harris House at the Brookside Farm Museum share equally in the net proceeds of this great event. 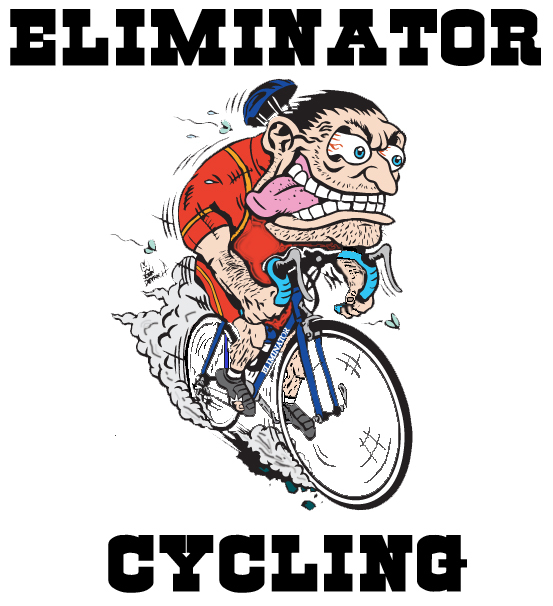 A huge thank you to the guys from Eliminator Cycling for hosting such phenomenal rest stops! To view information about routes, please click on the route of your choice to view the map. All routes will be marked on the road and will have a turn sheet provided. For the serious cyclist that is not afraid of some climbing there is the famous Horrible Hundred and Miserable Metric. On these two new routes you will enjoy great scenery, world class cycling roads and fully stocked rest stops. The Horrible Hundred boasts 6800 feet of climbing in its leg burning 102 miles! The Miserable Metric is no slouch either and dishes out 4400 feet of climbing along its 62 miles of roadway. With the Horrible Hundred and the Miserable Metric…. “Only the Strong Survive”. If you still are looking for the mileage but would like less climbing we have our all new Happy Hundred and the Mild Metric. Both of these gorgeous rides will take you along the ocean shoreline and Connecticut River. 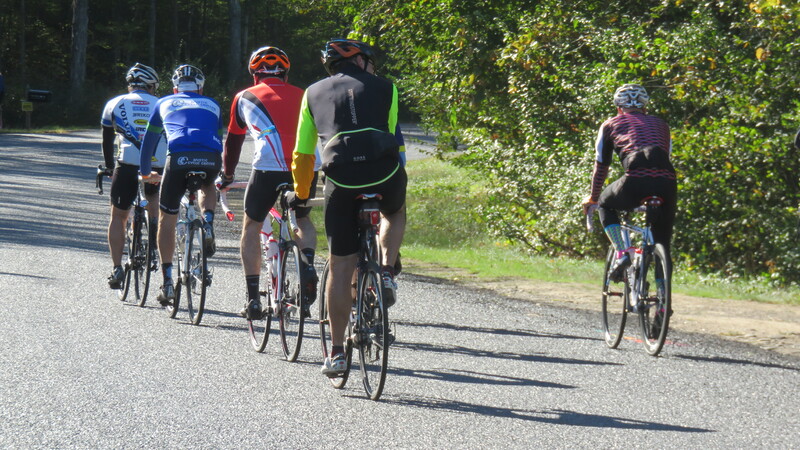 The Happy Hundred’s rolling hills will net the rider 4800 feet of elevation gain. The Mild Metric with only 3100 feet of climbing in 62 miles is perfect for the cyclist looking for his first metric century. Both of these satisfying rides have the biggest part of the climbing early so your body can recover as you reach the end. Of course we will have the best fully stocked rest stops along the way. At each stop you will be greeted by our friendly energetic staff who are also cyclist. There will be plenty of healthy tasty refreshments to enjoy as the crew cheers you on. Ready for some action at the ELB&BBQ! If you are not ready for a metric century but still want a challenge we have just the ride for you. The all-new 40 Caliber. This 40 miler is no “push over” but it is not knee buster either. With 2200′ of climbing it has nearly the same climbing rate as the Mild Metric but with less miles. This route is perfect for the rider who wants to eventually move up to the next level. A rider will find this route a mildly challenging on tranquil back country roads. A super rest stop will be there for you along the way to recharge the body. Again this ride is “front loaded” with most of the climbing early when you are still fresh and strong. A great stepping stone to a rider thinking of tackling a century ride at next year’s Preservation Bike, Hike and BBQ. For the newer cyclist or someone who just wants to ride less miles and have fun we have a great new ride for you. It is the No Jive 25! This 25 mile route is on traffic free roads with most of its 1300 feet of climbing in the first two thirds of the ride. The last 10 miles will be a snap. Along the way you will be treated to one of our famous overstocked rest stops that is staffed with cyclist like yourself. Note: These are not races. 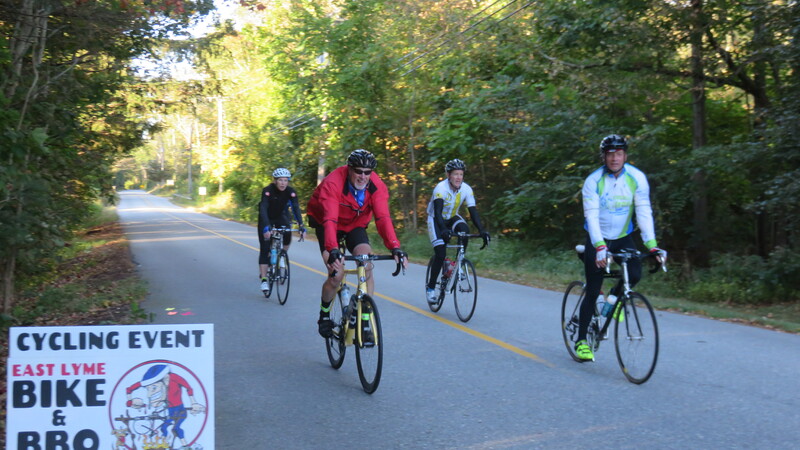 Each ride was picked by long-time cycling enthusiasts and members of our committee. The rides were chosen for being their favorite local roads that are void of large traffic flow, their challenging hills and the beautiful scenery. This year along with cycling we have added several gorgeous walks to our event. The 5K will take you on well-groomed paths in the beautiful Oswegatchie Hills Nature Preserve overlooking the Niantic River. If you prefer an on road walk with fewer hills then our 10K walk is for you. This route takes you onto our beautiful boardwalk along the shore overlooking the Niantic Bay and beaches. If you are up for the challenge of a 15K walk we have the answer. Our 15K walk first explores the scenic Oswegatchie Hills Nature Preserve then takes you to the shore and onto the Niantic Boardwalk. From there you will make a beach loop on roads and paths and finally all routes return to the start. Push your limits and join us on this great walk. After you have completed your walk we have live music and a terrific Lions Club BBQ waiting at the Smith- Harris House at the Brookside Farm Museum. Like the cyclists, all the walkers will receive one of our great Goody Bags. Each one stuffed with gobs of cool stuff. The Goody Bag does not include a shirt. The Niantic Streets Hike utilizes the “Shoreline Public Access” path which is a shoreline, non-paved, path that connects Crescent Ave and Shore Road streets and offers a spectacular view of the Niantic Bay. If any hikers are not comfortable using the Shoreline Access path, an alternative route is available that will add about 0.15 miles (0.24 Km) by following Crescent Ave, to South Washington Street, to Shore Road. 1. All participants pick up registration materials at Veterans Memorial Field, 10 Memorial Park Dr, Niantic, CT.
2. After hike completion, return to Smith-Harris House, 33 Society Road, Niantic, CT for the Barbeque. 3. The Friends of Oswegatchie Hills Nature Preserve (FOHNP) organization volunteers will act as hike leaders on the Trail Hike portions of the Hikes. 4. The streets hikes portion is self-guided using the route description and route markers. 5. The Barbeque meal is served until 5:00PM. We want everyone that attends and helps our worthy causes to have a great time at our event. We offer some amenities you will not find at other biking or hiking event. Here they are! This year we have elected a “Goody Bag Czar” to our staff. Oh yea a Czar! No other event has one. Our Czar has only one task and one task only! Fill the Goody Bag each participant receives with more goodies then the cost of their entry fee! How can you beat that? This is done with hard work and very generous people and business who donate to our cause. Every cyclist and walker will receive one of our great Goody Bags. We have stepped up to the plate with another perk that no other event will offer you. The hardest thing for us to do is “guess” how many people are going to attend so pre-registration is always critical. We understand it is hard to commit to a date and nobody can predict the weather. For every cyclist or walker who pre-registers before September 26th not only will you receive a $10 discount but you will be guaranteed a Goody Bag even if you do not attend the event! That’s right, you will always get your bag of booty even if you don’t show for any reason. Like we said there are gifts and coupons that equal the events entry donation. Help us by registering early and we will reward you for it. This year all of our events will start at a scheduled time. That way you can choose to ride or walk in a group or go solo. As always we will have multiple SAG vehicles along each of the cycling routes to assist you if needed. Our friendly staff will also be there to attend walkers on each route. The East Lyme Preservation Bike, Hike and BBQ has something for everyone this year. Whether you’re a “hiker or biker” you will find our event to be top shelf. Your tax free donation helps us support the town’s “historic places and open spaces”. Come join in for the fun and exercise! All rides will have fully stocked rest stops at regular intervals. *Teams of 5 or more registering together will receive a $5/rider discount (See Team Information below). Cycling Registration includes ride of your choice, event shirt, event water bottle and goody bag along with the post ride feast. You may register online, in person at the Parks and Recreation office, through the mail or on race day. More information about registration is listed below. Hike/Walk: $25/per person (includes meal ticket & goody bag). Does not include a shirt. Parking: Parking will be available at the two schools and community center adjacent to the Smith-Harris property. Clearly marked the day of the event and on event map. Event Day Registration: Registration begins one hour prior to start time. Ride registration is at Smith-Harris House. Walk registration is at Veterans Memorial Field. Before jumping on your bike every rider will receive a goody bag filled with our “Thank You” gifts as well as our super cool Bike and BBQ jersey. Then it is all up to you and your cycling ability! On-Site Event Day Registration starts one hour before the time shown below. The rides are expected to finish between 12:30PM and 4:00PM. The walks are expected to finish between 12:00PM and 3:30PM. The post-ride meal will be served until 5:00PM. Have 4 or more riding buddies? Sign up as a team and receive special perks! With a team of 5 or more, each rider gets $5 off their entry fee. Additionally, teams will have a special express sign-up table and will start at the front of the pack for the ride. Registered teams are encouraged to send in a group photo, photo of jerseys or team logo that can posted to the website along with any caption you may want to add to the photo. Have a team of 3 or less? While you won’t receive the team perks, you can still send in a team photo and be posted on the website! 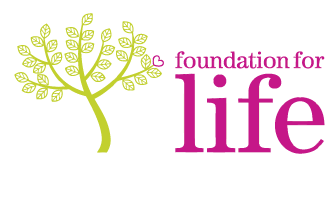 The Foundation for Life is a 501(c)(3) non-profit organization that was founded in 2006 by Paul and Mindee Blanco. The mission of the Foundation for Life is to improve the quality of life for people and families through actions that promote change and deepen connections in area communities. The Foundation for Life started sponsoring Bikes for Kids events in 2007. Bikes for Kids was started in San Diego, CA by Bill and Debbie Pollakov as a way for inner city kids to explore neighborhoods and other cultures within close proximity from where they lived. 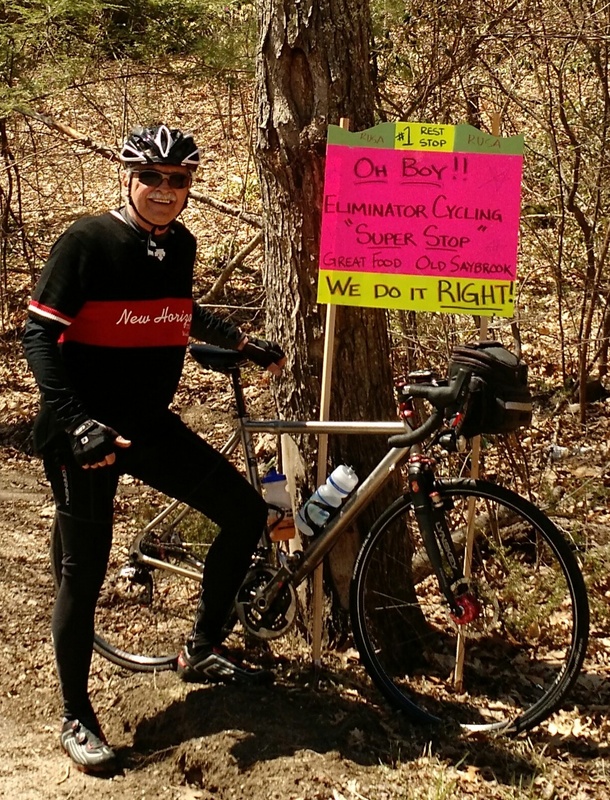 Founder Paul Blanco thought this was a great idea and offered to bring the Bikes for Kids program to Connecticut. The Foundation for Life has an annual goal to give 500 kids the freedom to explore and stay active and healthy through the Bikes for Kids initiative. Individual contributions to the Bikes for Kids Community Outreach program are welcome. 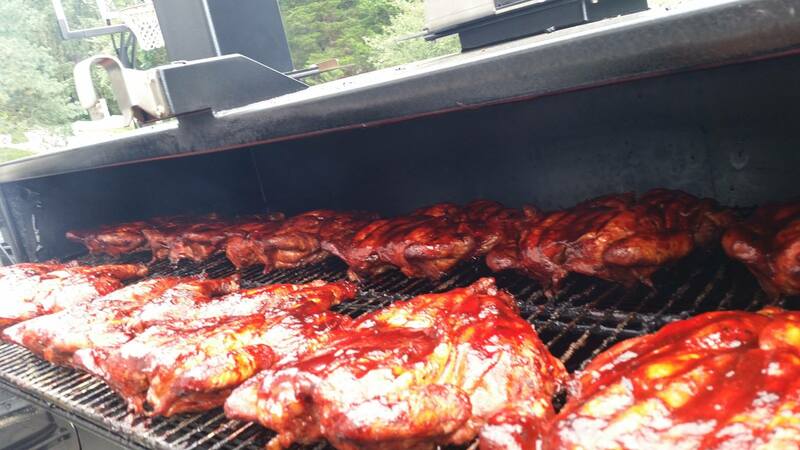 At the conclusion of the ride, everyone with a meal ticket will be treated to a BBQ lunch. Meals will be served from 1:00PM to 5:00PM. As you enjoy the delicious all you can eat BBQ feast put on by the Niantic Lions Club you will be entertained by a live band. We will have picnic tables to relax on along with great food and drink for everyone. You can even tour the historic Smith-Harris House while you attend the BBQ. The friendly Smith-Harris staff will tell you the homes story and history. If you would like to bring a guest to the after event feast and festivities they can purchase a meal ticket only wrist band for $20. Download and print the form at the bottom of this page or complete the form in the event promotion flyer. operating hours of Monday-Friday 8AM-4PM. They are located at the address below. 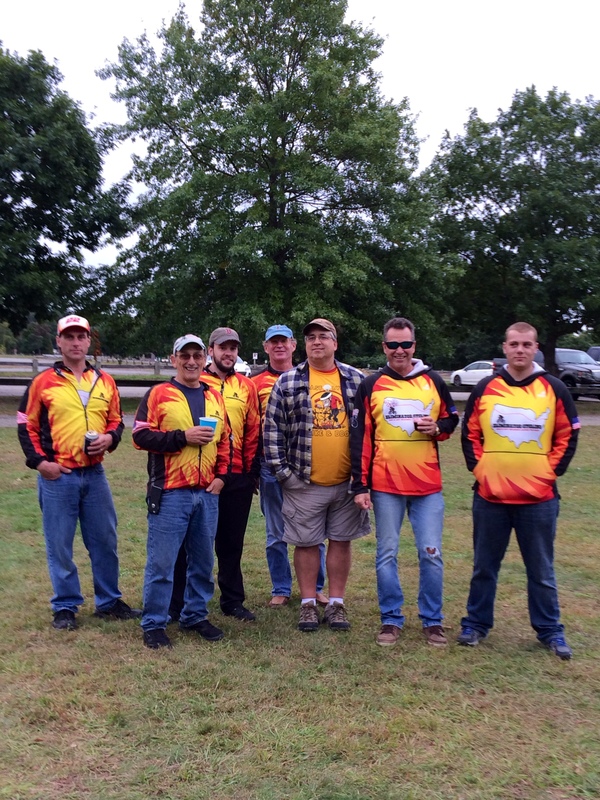 East Lyme Parks & Rec Dept. In-person registration and check payment can be done prior to each ride/walk on the event day, September 29th. Credit Cards, Cash and Checks will be accepted.. The East Lyme Preservation Bike, Hike and BBQ will proceed rain or shine. Please be aware of the day’s forecast so you can prepare accordingly. If dangerous weather is impending, registrants will be notified via the email provided and a notice will be posted on the website. If you’re scrambling to find some parts or just want some new gear before the big event, check out these awesome bike shops located near Niantic. Distances are from the Smith-Harris House at the Brookside Farm Museum. Want to make a weekend out of your visit to Niantic? Visit Discover East Lyme or Niantic Main Street‘s Facebook page for more information on upcoming activities and places to go. Check out our local shops and town beaches! Explore East Lyme’s historic places and open spaces. Listen to the Common Cents with Dawn interview with Mark Christensen of the Friends of Samuel Smith House as they discuss the historical house and events including Bike & BBQ. The East Lyme Preservation Bike, Hike and BBQ is hosted by East Lyme Parks and Recreation in partnership with members of the East Lyme Land Trust, East Lyme Historical Society, Friends of Samuel Smith House & Farmstead, and Friends of Smith-Harris House at the Brookside Farm Museum. Thank You to the Following 2018 Sponsors! Due to the number of photographers we had donate their time and energy, you will need to browse each photographers photos separately by clicking the following links. If you wish to purchase a photo you see, please contact each photographer directly. Please take your time to look through them, we hope you enjoyed the event!